Experience Dr Tuch is an Honorary Professor at The University of Sydney where he is supervising a bioengineering diabetes cell therapy project. He is a director of Sydney Cell Therapy Foundation Pty Limited, the not-for-profit Australian Foundation for Diabetes Research, and is a Specialist Practitioner, Endocrinology, at the Prince of Wales Private Hospital & St Vincent's Private Hospital, Sydney. He is also an Adjunct Professor at Monash University. His experience includes capital raising to support his considerable research team and a large international scientific publication list. Dr Tuch was appointed to the board in July 2011. Special responsibilities Dr Tuch is chairman of the Remuneration and Nomination Committee. He was appointed to the board on 20 July 2011. Experience Dr Taylor has had a prestigious international career in both academia and business. He has held roles at Johns Hopkins University School of Medicine in Maryland, and Princeton University and the Squibb Institute of Medical Research in Princeton, New Jersey. 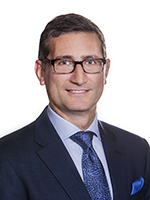 He spent much of his business career at Roche in roles including Medical Director, Australia, Managing Director, New Zealand, Managing Director, UK affiliate and then transferred to Syntex in Palo Alto, California to convert the corporate pharmaceutical company to the Roche Bioscience Research Center. Prior to joining LCT, Dr Taylor was CEO of Antipodean Pharmaceuticals where he managed the Phase I and II studies of its lead compound in Parkinson's disease. He joined LCT in February 2014. 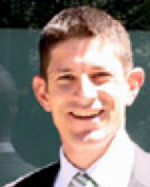 Experience Professor Elliott trained as a paediatrician at Adelaide University. He moved to New Zealand in 1970 to become the Foundation Professor, Director of Paediatrics at The University of Auckland. Professor Elliott co-founded LCT. 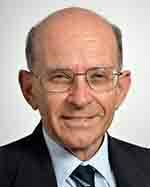 He is an Emeritus Professor of Child Health Research and a world leader in diabetes and autoimmune related research. He resigned from the position of Director, Clinical Research and Innovation on 27 February 2015. In 1999 he was awarded a CNZM (a Companion of the New Zealand Order of Merit) for services to the community. In 2011 he was awarded the prestigious World Class New Zealander (Life Sciences) award. He is on the board of Cure Kids and patron of the NZ Cystic Fibrosis Foundation. He is a director and shareholder of Breathe Easy Limited, Kopu Limited, Visregen Technologies Limited, Fac8 Limited and NZeno Limited. 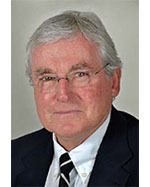 Special responsibilities Professor Elliott is the Chairman of the Diatranz Otsuka Limited board of directors. He was appointed to LCT board on 15 January 2004. Experience Mr Hunter has over 40 years' experience as a stockbroker, investment banker and corporate investor in London, Paris and San Francisco. Laurie was a Member of The Stock Exchange, London, a partner at L. Messel and Co, London, a director of Shearson Lehman Hutton and founder of Hunter Capital. His recent focus has been on investing and providing strategic advice to developing companies. Special responsibilities Mr Hunter is a member of the Audit, Risk and Compliance Committee. He was appointed to the LCT Board on 25 August 2006. Other directorships in listed entities held in the previous three years Mr Hunter resigned from the board of listed company Madagascar Oil Limited on 18 December 2012 and StratMin Global Resources Plc on 16 February 2016. Experience Robert Willcocks is a senior executive with an extensive legal and business background working in particular with Australian listed public companies. He has Bachelor of Arts and Bachelor of Laws degrees from the Australian National University and a Master of Laws degree from the University of Sydney. 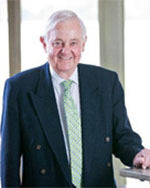 Mr Willcocks was a partner with the law firm Stephen Jaques & Stephen (now King & Wood Mallesons) from 1980 until 1994, where he was a member of the Corporate Advisory Group with an emphasis on the mining and oil and gas sectors. As corporate adviser he has undertaken assignments in a range of industry sectors. 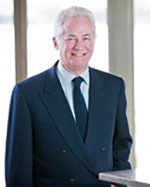 Mr Willcocks has been a director and Chairman of a number of Australian Securities Exchange (ASX) listed public companies. He is a director of ASX listed ARC Exploration Limited, and Hong Kong Stock Exchange listed APAC Resources Ltd. He is also chairman and director of Trilogy Funds Management Ltd, a Responsible Entity under Australian law. Special responsibilities Mr Willcocks is chairman of the Audit, Risk and Compliance Committee and a member of the Remuneration and Nomination Committee. He was appointed to the board on 29 March 2011. Dr Taylor has had a prestigious international career in both academia and business. He has held roles at Johns Hopkins University School of Medicine in Maryland, and Princeton University and the Squibb Institute of Medical Research in Princeton, New Jersey. He spent much of his business career at Roche in roles including Medical Director, Australia, Managing Director, New Zealand, Managing Director, UK affiliate and then transferred to Syntex in Palo Alto, California to convert the corporate pharmaceutical company to the Roche Bioscience Research Center. Prior to joining LCT, Dr Taylor was CEO of Antipodean Pharmaceuticals where he managed the Phase I and II studies of its lead compound in Parkinson's disease. He joined LCT in February 2014. Mark Licciardo (B Bus (Acc), GradDip CSP, FGIA, GAICD) is the founder and Managing Director of Mertons Corporate Services. 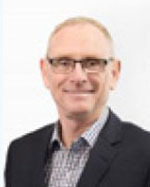 He has extensive experience in working with Boards of Directors of high profile ASX listed companies in the areas of corporate governance, accounting & finance and company secretarial practices during a 30 year corporate career in banking and finance, funds management, investment, infrastructure development and in the establishment and management of a consulting business. 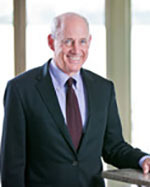 A former company secretary of Top 50 ASX listed companies Transurban Group and Australian Foundation Investment Company Limited, Mark is also the former Chairman of the Governance Institute of Australia (GIA) Victoria division and Melbourne Fringe Festival and a current non-executive director of a number of public and private companies. Professor of Clinical Neuroscience and Honorary Consultant in Neurology at the University of Cambridge and at Addenbrooke's Hospital. Professor Barker's research looks at neurodegenerative disorders of the nervous system in particular Parkinson's disease and Huntington's disease. He combines basic research looking at novel therapies (including cell transplants and gene therapies) to treat these conditions with clinically-based work on defining the natural history and heterogeneity of both Huntington's disease and Parkinson's disease. Professor and Director of the Center for Neurodegenerative Science, VARI Associate Director of Research and Jay Van Andel Endowed Chair in Parkinson's Research. Dr Brundin's current research focuses on pathogenic mechanisms of Parkinson's disease as well as the development of new therapies that slow or stop disease progression or that repair damaged brain circuits. He was among the first to articulate the "prion-like" hypothesis of Parkinson's, which describes how abnormal proteins related to the disease spread from cell to cell in the brain, causing the cellular damage that perpetuates Parkinson's. He is heavily involved in the Parkinson's community and works closely with advocates to find ways to further research and to improve the quality of life for people with Parkinson's. Professor of Neurology in the Department of Clinical and Movement Neurosciences, UCL Institute of Neurology and Consultant Neurologist at the National Hospital for Neurology and Neurosurgery, Queen Square, London. Alongside his general neurology practice, Professor Foltynie has a specific interest in patients with movement disorders. He is now involved in a number of trials of new treatments for the disease and is responsible for patients undergoing Deep Brain Stimulation for Parkinson's and other conditions. Director of Neurogenetics at Royal North Shore Hospital and the Director of the Kolling Institute, University of Sydney. 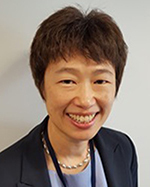 Professor Sue is an international expert in mitochondrial disease and movement disorders. Her research focuses on understanding the role of mitochondrial function in neurodegeneration, especially the disease processes involved in mitochondrial disorders, Parkinson's disease and other movement disorders. She established the Centre of Excellence for Parkinson's disease and Movement Disorders at Royal North Shore Hospital in 2011. Director of Adult Medicine and Consultant Neurologist at Auckland District Health Board. In addition to his general neurology work, Dr Snow runs a Movement Disorder Clinic and research programme. 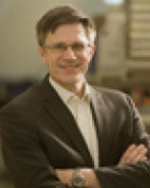 He is the Principal Investigator in the clinical studies of NTCELL in Parkinson's disease.